I’m going to keep hammering home this point. The best candidates (including millennials and Generation Z) tell us that they would prefer you to be transparent. Afterall, your people/recruiters are your brand. 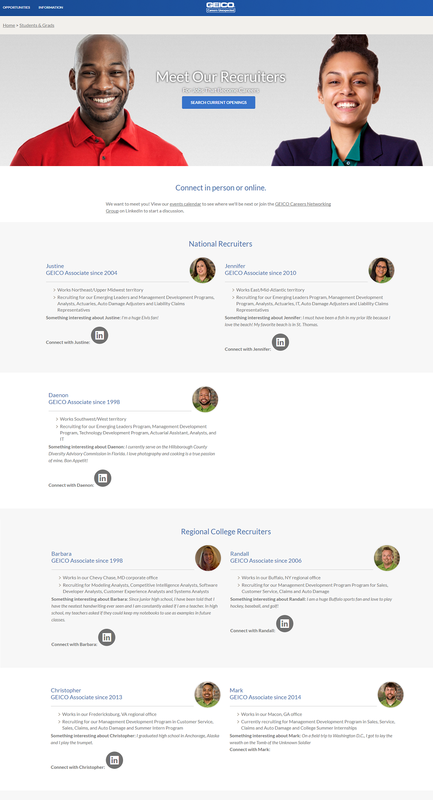 This page lists out about 30 recruiters. Ongig automatically inserts the name and LinkedIn profile (with thumbnail LI profile pic) of your recruiter on each of your job descriptions! Candidates will reward you with this transparency!